HOAs Prodding Resistant Banks to Act on Distressed Condo Units | The Law Office of Emil Fleysher, P.A. HOAs Prodding Resistant Banks to Act on Distressed Condo Units | The Law Office of Emil Fleysher, P.A. In addition to homeowners, Home Owner’s Associations (“HOA”s) are victims of the foreclosure crisis as well. When homeowners stop paying maintenance fees or assessments, associations start facing serious problems. Some associations have more than 50% of their units delinquent. Under Florida law, HOAs can foreclose on owners for the delinquent fees and can take title that way. This is not always helpful because the existing mortgage goes with it and the lender (the bank holding the 1st and maybe even 2nd mortgage) may not be willing to relinquish its claim. 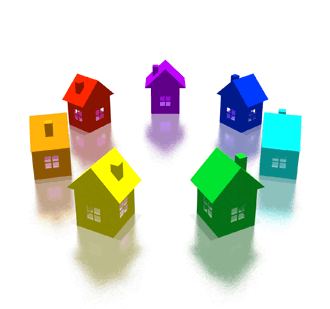 The association is then unable to rent, take possession, or sell vacant units. This leaves the up-to-date and present owners in quite a bind. Some attorneys have begun to threaten the lender that if they do not take title to the defaulted units immediately, proceedings will be filed to have the court grant a judgment terminating their mortgages on the units. The legal theory backing this strategy is that the bank is unreasonably restricting the association as the new owner to sell the property, since the old mortgage would go with it. In a case against Citibank, this strategy was employed and Citibank turned around and essentially told the HOA to keep the property. This strategy has high success rate and continues to be successfully employed. If you have questions about foreclosure, loan modification, or other alternatives, please feel free to call my office at 954-484-9987, send an e-mail to info@fleysherlaw.com, or complete the contact form below.